Do you know somebody that loves Spiders? 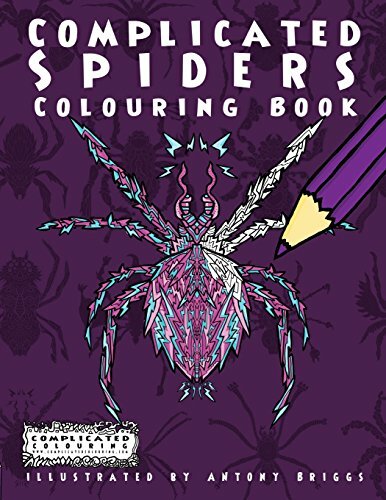 This book features lots of creepy spiders to colour in. Some are from nature and others are fantastic arachnids from the imagination. Color them all if you dare! This book is printed with single sided design onto black paper. Perfect to use with your favourite felt tips, marker pens, fine liners or crayons. Part of the Complicated Colouring series by UK illustrator, Antony Briggs. Perfect for adults and children. These books are very relaxing and are designed for people that pay attention to detail and do not like to rush their work. If you have any questions about this product by Complicated Coloring, contact us by completing and submitting the form below. If you are looking for a specif part number, please include it with your message.